How does a folding drinking straw work? The collapsible drinking straw is all the rage, but what is it and how does it work? Green eco bags have been around for a while now but the ban on over 1 billion per year plastic straws caught many in the promo world unawares. However, trend setter we caught the idea early and came out with the Last Straw. The Last Straw is designed for both retailers adn promotional product users. We wholesale direct to retail or can provide you wth a version complete with your logo on it. Cities and countries ban one-time use disposable straws. Folding Drinking Straw is Hot at Trade Shows! Each year our team of trend experts researches and sources world-wide to find the latest in trending promotional product swag. Stuff that our clients gave get their logo on to hand out at trade shows, b2b marketing events and customer recognition initiatives. 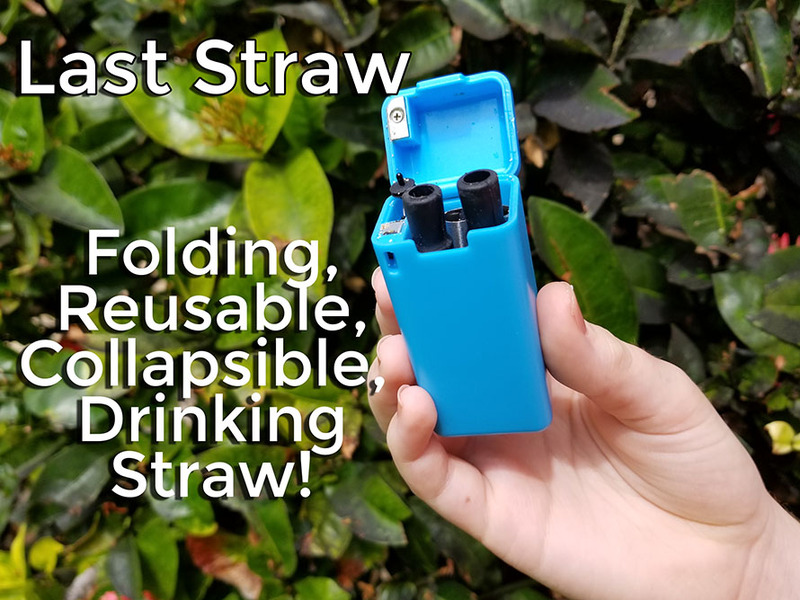 Without a doubt one of our top 2 or 3 products for Summer 2019 is the folding final drinking straw. 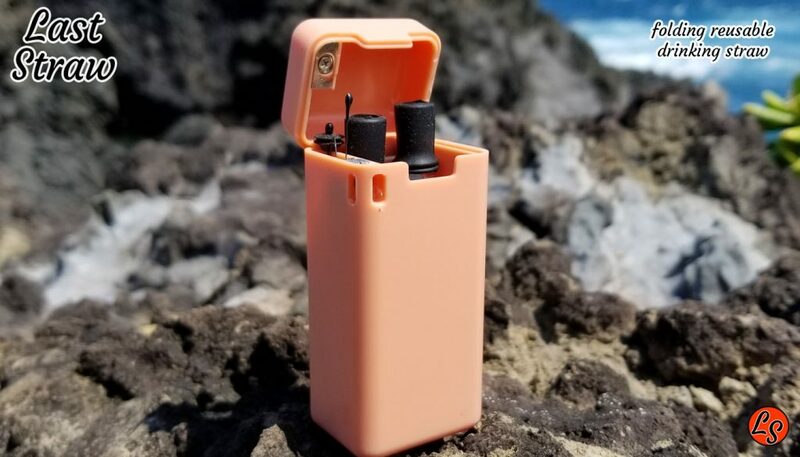 Our bulk wholesale price is far more in line with the promotional product industry with minimum order price including shipping, free 4 color logo and all set up costs clocking in well under $5. The following is the net wholesale price for the folding drinking straw. Retail Racks up Triple Digit Margins with The Last Straw. 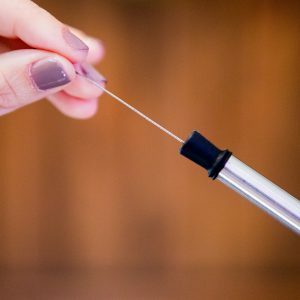 The health and wellness retail industry is racking up triple digit margins with the folding drinking straw, The Last Straw. 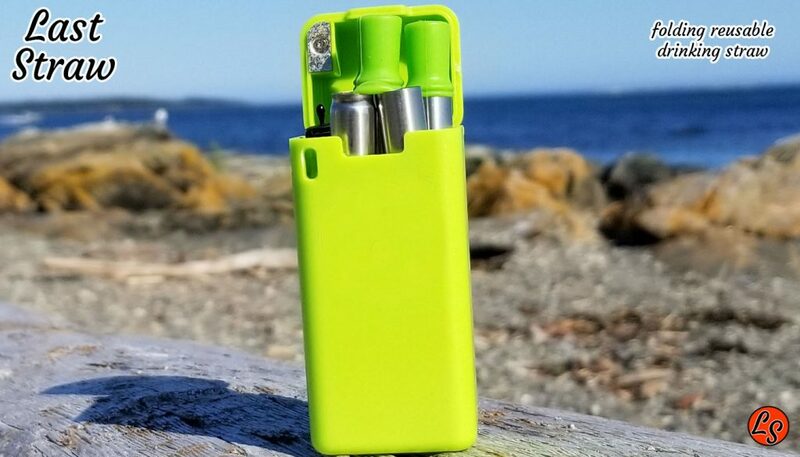 Perfect as a checkout counter impulse buy the folding LAST STRAW has be sailing off the health and wellness brick and mortar counters across North America and Europe. 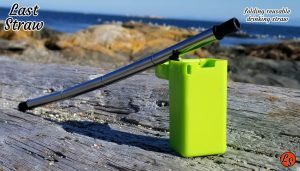 The folding drinking straw has been a darling on the social media scene for the past 6 months however the initial offering on Kickstarter of a similar design got off to a horrific launch and has left many consumers angry. Read more. This in not the case with the LAST STRAW. The Last Straw is a retail and corporate specific brand that guarantees not only a quality product but quick and painless delivery. All orders of the Last Straw are shipped direct from the factory to your door in 2 weeks after approval of your order. For unlogo’d product deduct a further 15 cents per unit. 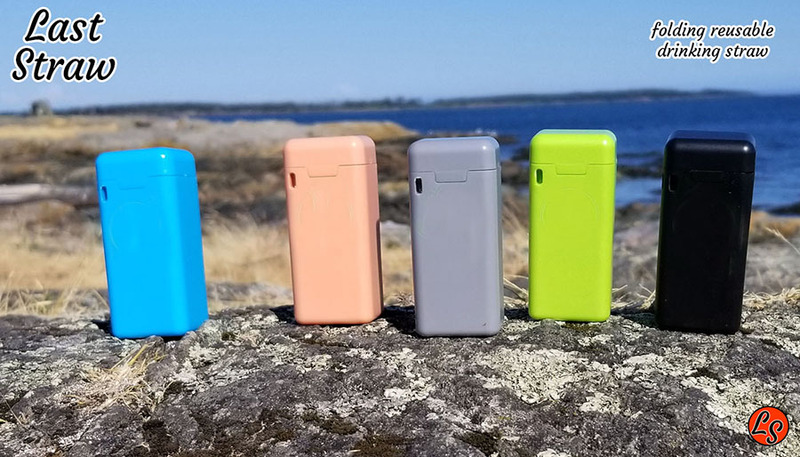 Choose from any of the 5 great colors shown below or mix and match to suite your tastes. 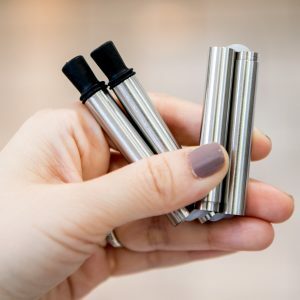 folding reusable drinking straws retail wholesale group |reusable folding drinking straws for wholesale black | Retail sales folding drinking straw | folding drinking straw for wholesale bulk | Folding Drinking Straw | Wholesale Retail | Inexpensive Folding Straw | The Last Straw | The final straw you will ever need. The Turtle video that shook the world. Over 30 million people have viewed this video. The video that started the world-wide movement to ban plastic 1 time use drinking straws. 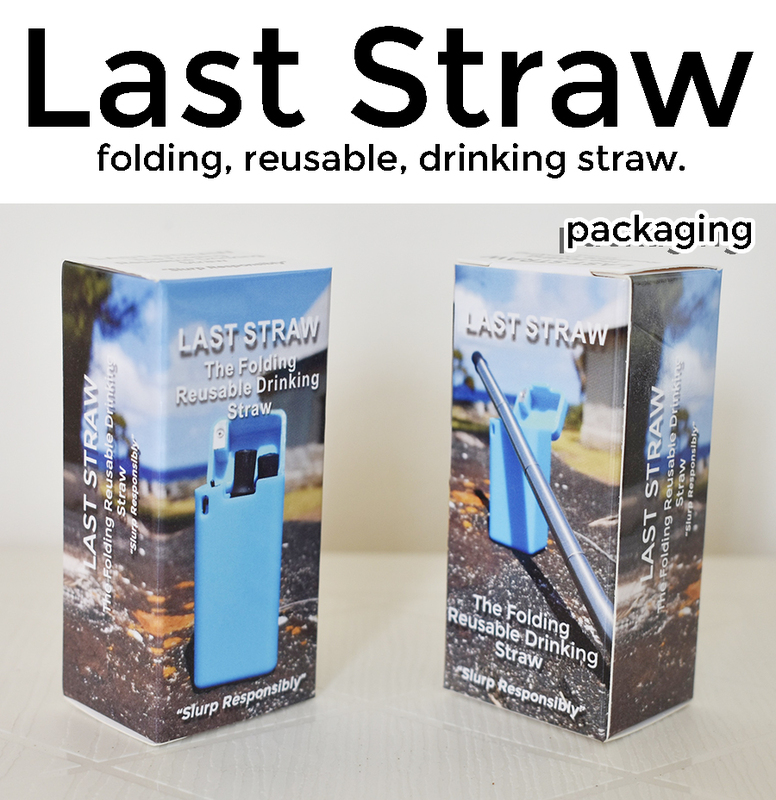 last straw folding drinking straw wholesale | folding reusable drinking straws retail wholesale group |reusable folding drinking straws for wholesale black | Retail sales folding drinking straw | folding drinking straw for wholesale bulk | Folding Drinking Straw | Wholesale Retail | Inexpensive Folding Straw | The Last Straw | The final straw you will ever need. Last Straw Video. Turtle with drinking straw stuck in its nose. The video that moved the world to ban plastic straws is an 8 minute, heartwrenching disturbing video that has been viewed by over 33 million people and counting. We have shortened this video and tied it into the Last Straw. 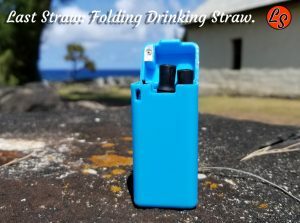 The collapsible folding drinking straw. Last Straw is Now Available! Starbucks considers the folding drinking straw as a retail program. 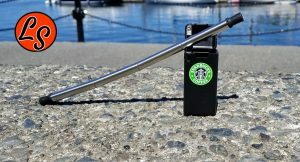 Coffee Giant Starbucks Considers Folding Drinking Straw. Seattle based Starbucks considers the folding reusable drinking straw as a possible retail solution in the wake of the recent ban on 1-time use plastic straws. 1000’s of companies move to ban plastic straws. In a move that can only be called a movement thousands of corporations and businesses around the globe are banning the 1 time use plastic straw. For a current list please read more. Read about banning plastic drinking straws including McDonalds! Is there any question to the Last Straw being a winner at retail? Last Straw. 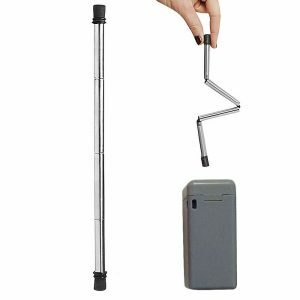 The folding collapsible reusable drinking straw has arrived. The Last Straw is the retail world’s hottest new idea! 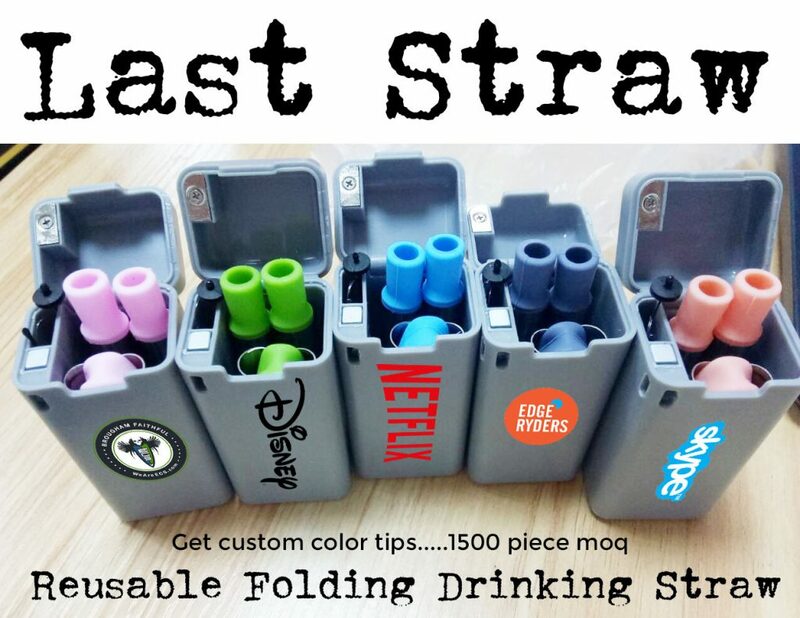 Get your hands on the Last Straw folding reusable drinking straw. Retailers everywhere are abuzz with the release of the Last Straw folding reusable drinking straw. This comes hard and fast on the heels of the banning of 1 time use plastic disposable drinking straw by countiries and businesses around the world. Read about cities and companies banning straws including McDonalds and Starbucks! Available now for delivery the Last Straw. The Turtle Video That Changed The World. Warning: Distrurbing video images may break your heart! 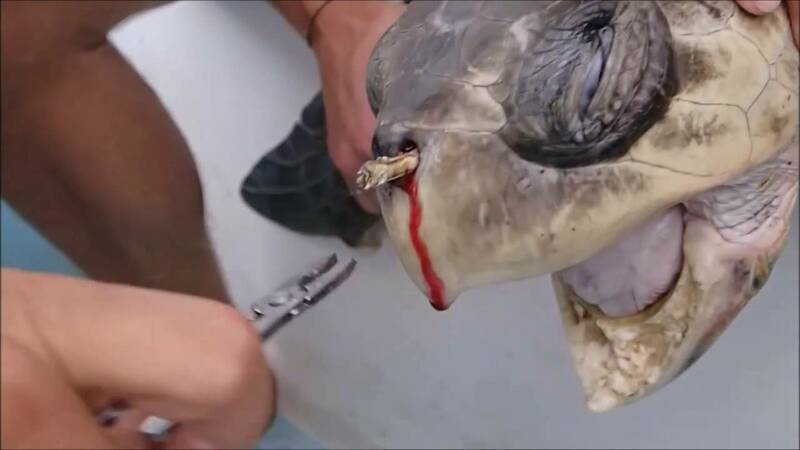 By now, more than 30 million people have seen the disturbing 8-minute viral video of the sea turtle with a stream of blood draining from his nostril, as two researchers work to extract a 4-inch plastic straw. The plastic was lodged in the turtle’s nasal cavity, reaching down into his throat, inhibiting his breathing and sense of smell—a turtle’s most important tool for finding food. It was no doubt messing with the turtle’s orientation and migration, and possibly even hindering his ability to find a mate. Figgener and fellow researcher Dr. Nathan J. Robinson aren’t sure how long the sea turtle was swimming around with that thing in his nose. “It didn’t look super new, but who knows. “We have been talking about the detrimental effects of straws for years, but seeing that video, as horrible as it was, is what we needed to wake people up,” Figgener said in an interview with Plastic Free Times, two months after the video was first posted on YouTube.